This workshop facilitated discussion, exchange of information, and sharing of resources to make the most out of introductory courses in the geosciences, including courses focused on geology, oceanography, atmospheric science, and Earth system science. We explored the multiple roles introductory courses play for students as well as in programs and institutions. These roles can be as disparate as providing an introduction to science and its role in society, facilitating exploration of a potential major, preparing students for a second level course at a given institution or at a transfer institution, recruiting diverse students into the program, and meeting campus-wide goals for critical thinking or sustainability. After articulating the multiple roles of and goals for participants' introductory courses, we explored strategies for optimizing these courses and maximizing their impact. We explored a wide range of strategies, including using effective pedagogic approaches, working with TAs, developing regional partnerships, and many others. Each participant's context provided both opportunities and constraints in the design and implementation of their introductory courses. We discussed how each participant can best take advantage of their own geographical setting, its natural history, environmental concerns, and employment needs; capitalize on the specific assets of their institution and its student body, and their department and its programs. The workshop included a series of web-based synchronous and asynchronous sessions, including presentations from experts, sharing among participants, on-line chat sessions, and time for guided individual and group work. 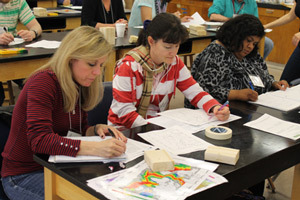 A primary focus of the workshop was the development of online resources for geoscience faculty and departments that address key issues in introductory courses, including a set of examples drawn from participants' experiences. Participants also were given time to create an action plan for modifying their course(s) and obtained feedback on this plan from other workshop participants. Fostering conversation and collaboration within departments and among campuses to enhance the impact of introductory courses. 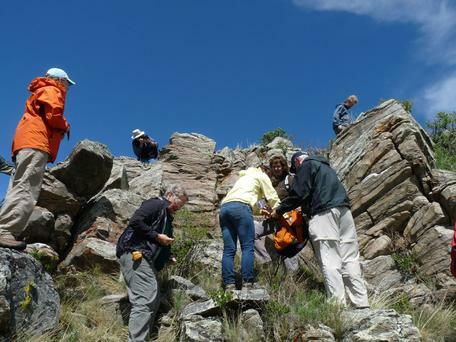 This workshop took place March 10-12 and 17-18, 2014. This was an online workshop and there was no face-to-face component. The workshop consisted of both synchronous and asynchronous components over the two-week period. Submit a course profile (or profiles) that give quantitative and descriptive detail about their introductory course offerings. Participate in creation, review and discussion of action plans. After the workshop, interested participants can participate in follow-on activities to edit, refine ,and disseminate materials developed during the workshop. Virtual workshops have many advantages, especially in your ability to access all of your instructional resources from your home office. However, the downside is that there are also many local distractions. So please be sure to block out times in your calendar for all scheduled workshop activities, just as if you were attending face-to-face meetings at those times. We anticipate that in total, the workshop will require 3-4 hours of your time each of the 5 days (scheduled over 12 days) and that you will want to set aside some time on the weekend to work on your contribution. Your focused attention will be appreciated by all. 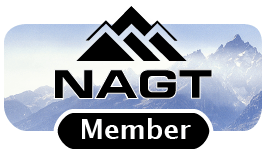 The cost of the workshop was $200 ($150 for NAGT members). 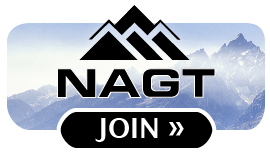 Learn more about becoming a member of NAGT (opens in a new window) and how your registration fees are used (opens in a new window). Departments or regional groups of four or more were able to register as a group for $500. The group must attend all synchronous sessions together (one phone line) and have a designated leader who will manage the group's participation, small group interactions, and serve as a point person. To offer this reduced fee, the designated leader must agree to assume significant management and group leadership responsibilities both before and during the workshop. Please note that each group member must fill out the application individually. If your group is accepted, only the group leader will fill out the registration form and provide payment. Our National Science Foundation grant provides funding for the remainder of the operational costs of the workshop. To be supported by these funds, a participant must be either a US citizen, a permanent resident, or in the employ of a US institution. If you don't meet these requirements and are interested in participating in this workshop at your own expense, please contact the workshop conveners. The application deadline has passed. All participants must meet the deadlines for submitting pre-workshop materials. The workshop size is not limited – we will scale the event to match the number of participants. 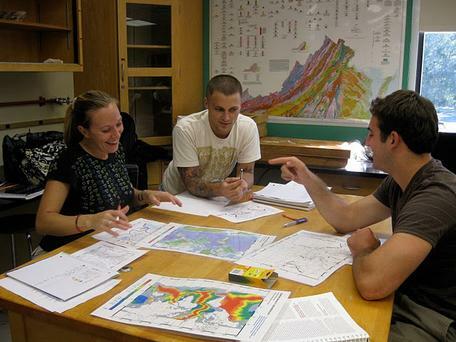 If you hold a teaching position in geosciences or a related field at a college or university you will automatically be accepted to the workshop. All other applicants will be selected based on the quality of their applications and alignment with workshop goals. Several co-leaders will be selected from workshop registrations to serve in a leadership capacity for the workshop based on their expertise with teaching at scale and group facilitation. These co-leaders will be responsible for leading small group work and completing synthesis documents but will pay no registration. You are asked if you would like to be considered for this responsibility on the workshop application. Co-leaders will be selected following the application deadline and notified by February 3. This is a virtual workshop, and you can participate from wherever you have access to the internet. We will be using a combination of Adobe Connect and phone conferencing. 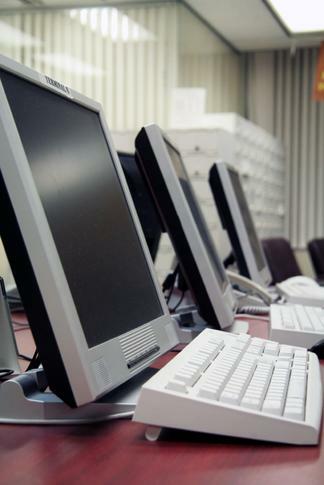 You will want access to a computer that has reliable, high-speed internet, a video camera and microphone, as well as a telephone (preferably a land line). We will provide opportunities for you to test your connections and software prior to the first session. Groups of four or more who are registered as a group, with a group leader are required to use a single phone line for all synchronous sessions. These groups will need a meeting room equipped with an internet connection, computer with video projection, and a speaker phone. They may be involved in small group activities that involve only participants from their location. These groups will require local meeting space equipped with internet. Please contact Anne Egger (annegger AT geology.cwu.edu) or Cathy Manduca (cmanduca AT carleton.edu).